Great news for you fellow Clean Eating fanatics! The magazine is set to release a new cookbook of all-time faves. Yay! What a fabulous way to have all the top Clean Eating recipes in one place. 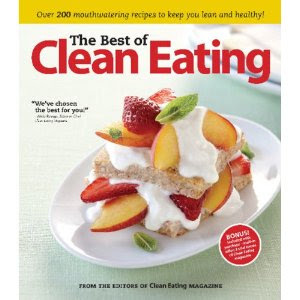 Check out The Best of Clean Eating for a bit of healthy inspiration in the kitchen. I secretly hope it includes favorites such as Windy City Pizza and Orange Glazed Chocolate Cake! i tried out a salad from the clean eating website the other day. it was pretty good!